The National Alliance for Public Charter Schools published its annual ranking of state charter school laws this week. The report, Measuring Up to the Model: A Ranking of State Public Charter School Laws, Ninth Edition, shows that Indiana has the nation’s top charter school law for the third year in a row. Similar to previous versions, the new report ranks public charter school laws in 44 states and the District of Columbia against the National Alliance’s model charter school law. Each law receives a score based on 21 essential metrics, including flexibility, accountability, and equity. One striking thing about this year’s rankings is that the Top 10 includes a mixture of states with mature charter school movements (Indiana at No. 1, Colorado at No. 2, Minnesota at No. 4, D.C. at No. 8, and Florida at No. 9) and those with newer movements (Washington at No. 3, Alabama at No. 5, Mississippi at No. 6, Maine at No. 7, and Kentucky at No. 10). This speaks to the fact that many mature states continue to strengthen their laws based on what’s working — and what’s not — and that new states rely heavily on lessons learned by the states that came before them, so they don’t make the same mistakes. Let’s use Indiana as an example. Indiana passed its charter school law in 2001 and made major improvements in 2011, 2013, 2015, and 2017. The state now has 95 charter schools serving nearly 50,000 students. Paramount School of Excellence, located on Indianapolis’s Eastside, opened its doors in 2010. The school serves 744 students in grades K-8, including 86 percent who receive free or reduced-price lunch. The school has fully lived up to its name by earning a state performance grade of A for five consecutive years. This is mostly because of the amazing work of the school’s teachers and leaders, but is also in part due to the state’s strong policy environment. Paramount not only has thrived but will launch its first replication school in fall 2018 with some support from the state’s per-pupil grant to support facilities. 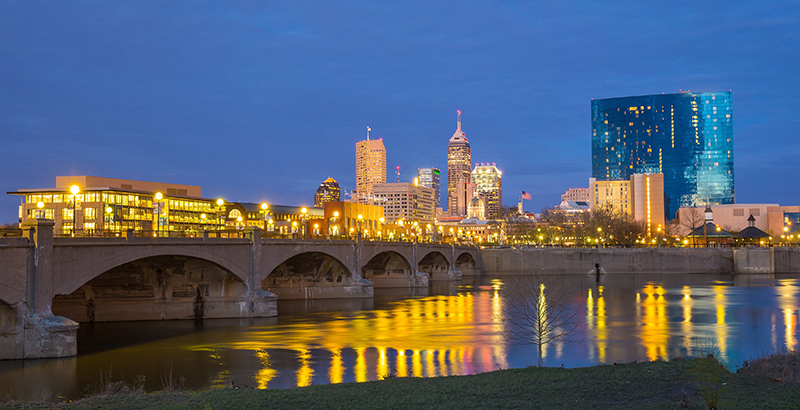 Some qualities that make Indiana’s law particularly strong are that it includes multiple authorizers, provides a fair amount of autonomy and accountability, and does not cap public charter school growth. The state has also improved access to equitable funding for charter school students, betting on the fact that strong public policy and constant innovation allow students to have the education they desire. Another striking feature of this year’s rankings is that states that are enacting laws for the first time as well as states that are overhauling their laws are outranking states that were previously highly ranked, such as Arizona, Louisiana, and New York. That doesn’t mean the laws have gotten weaker in these states; they remain strong. What it does mean, though, is that more and more states have better and better laws — a good place to be if you believe that all states should have high-quality charter school laws. Unfortunately, not every state has an environment conducive to the advancement of public charter schools. Maryland has the nation’s weakest charter school law again, ranking No. 45 (out of 45). Although Maryland’s law does not cap public charter school growth, it allows only district authorizers and provides little autonomy, insufficient accountability, and inequitable funding to charter schools. Similarly, the other states at the bottom of the list — Iowa (No. 41), Wyoming (No. 42), Alaska (No. 43), and Kansas (No. 44) — need to overhaul their laws in ways that will allow high-quality charter schools to serve their students. Our students benefit most when states enact strong charter school laws. Indiana, Colorado, and others at the top of this year’s rankings are noteworthy examples of states that are creating environments in which public school leaders and teachers can create flexible, innovative, and accountable options for students. Todd Ziebarth is senior vice president, state advocacy and support at the National Alliance for Public Charter Schools.